My Chemical Romance have announced 8 February dates for their upcoming U.K. arena tour. My Chemical Romance played several European dates in October and November of this year already and have also announced 2011 dates for Japan and for North America. According to the Creativeman Productions website, My Chemical Romance are set to tour Japan in February, 2011. Tickets are set to go onsale December 25. For more information, check out this Creativeman Productions page and scroll down a bit. Thanks for the heads-up on this information @MCRmyUnited. My Chemical Romance are set to play P.C. Richard & Son Theater in New York City on November 30. According to iHeartRadio, the show is invite-only, but there are several contests you can enter for a chance to go! Only 200 people will be able to go to the show and, as the contest page for the venue reminds, "The only way to get into this event is to win your way in." Good luck to everyone who enters! My Danger Days... album review from the California listening party on November 9. It's been more than 4 years since The Black Parade, and we made it! I am absolutely, heart-stranglingly proud to support My Chemical Romance and to have been able to write about the creation of this masterpiece through every step, misstep, stumble and take-off leading to today's beautiful apex! Danger Days: The True Lives of The Fabulous Killjoys is out now! I guess the lead-up to today's release kind of started in early 2009 with the release of "Desolation Row" for Watchmen. 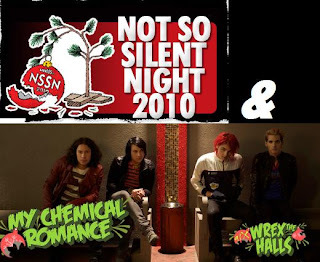 After the men of MCR had been on a break since Spring of 2008, fans were able to get a brief glimpse of them immersed in the comic world the band has always so loved. What is Better Living Industries? Better Living Industries (Also known as BLI, BL/ind, or BL industries)is the corporation that controls Battery City. The corporation strives to bring about structure in a post-apocalyptic world. It is known for producing emotion-eliminating medications as well as every other manufactured product one can acquire in 2019. The video for "SING" is now up on MTV.com. 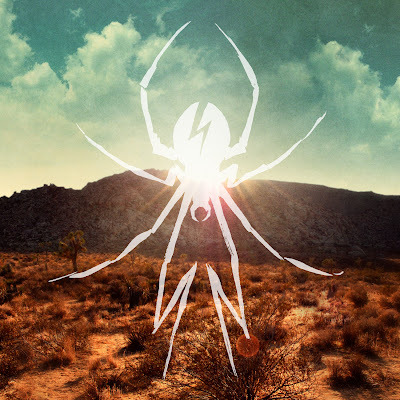 Watch and listen as Danger Days: The True Lives of the Fabulous Killjoys's narrator Dr. Death Defying leads you through My Chemical Romance's new album. Danger Days... is set for release November 22! Check out my track-by-track album review and let me know what YOU think of the album! MTV.com has posted a preview clip of My Chemical Romance's upcoming video for "SING." The "SING" video will premier in its entirety on MTV Thursday, November 18 at 7:56 p.m. EST. Remember that there is a fan project to make November 19 "SING iTunes Day!" New My Chemical Romance Youtube Playlist, Hear a Clip From "Bulletproof Heart"
A 7-part playlist featuring "snipes" promoting My Chemical Romance's upcoming album, Danger Days: The True Lives of The Fabulous Killjoys has been added to the MCR Youtube channel. Whose side are you on? 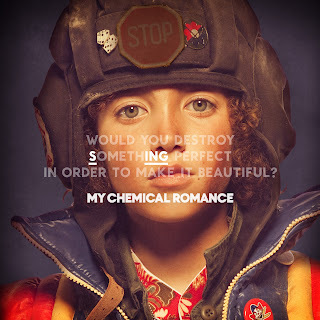 Killjoys or Better Living Industries? UPDATED November 15 @ 1:50 p.m. EST! When My Chemical Romance guitarist Frank Iero hinted to Los Angeles' 98.7 FM in September that the band hoped to do some small radio shows throughout the U.S., he wasn't messing around. According to an official blog post from My Chemical Romance, the band will premier Danger Days: The True Lives of the Fabulous Killjoys online November 16 at noon PST. The premier will be in video format and hosted by the album's narrator, Dr. Death Defying. Check out what I thought of the album before you hear it in my track-by-track album review! Trust me, you're going to want to tune in for Dr. Death's transmission! MTV.com has announced that they will be streaming My Chemical Romance's November 22 album release show in Hollywood so that fans even thousands of miles away to experience it! "Live In L.A.: My Chemical Romance" is set to go live on the MTV website at 10 p.m. EST. In addition to the record release show stream, MTV also mentioned that My Chemical Romance's "SING" video will premier at 7:56 p.m. EST, November 18 on MTV and MTV.com. Furthermore, starting November 29, MCR is set to be MTV's featured PUSH artist and will "take over MTV and MTV.com." First of all, I want to preface this review with a huge thank you to Warner Brothers Records for being so kind as to fly me and Brandi from My Chemical Freak to California for the listening party. I can't thank you enough for inviting me to be a part of this event! That having been said... Do you have your rayguns ready, motherfuckers? Get in the car. Quick. The introduction to the album and the first time the listener hears narrator Dr. Death Defying's smooth Zone jargon. “Look Alive…” is exactly what you hear at the beginning of the “Na Na Na…” video, and – as you know if you have seen it – the two tracks blend perfectly. Sign up for My Chemical Romance's Mailing List and get "Save Yourself (I'll Hold Them Back)" now! Check out the video trailer for My Chemical Romance's new song "SING" below. MTV.com has announced that the video will actually go live on their site at 7:56 p.m. EST! My Chemical Romance's record release show for Danger Days: The True Lives of the Fabulous Killjoys is set to take place at Los Angeles' House of Blues on November 22. According to the blog post announcing the show, members of the band's official site will be the first to get a shot at tickets by checking the site at 7 a.m. PST this Thursday, November 4 for a special MCRMY presale code. The show, according to the blog, will somehow incorporate items and cast members from MCR's "Na Na Na..." and upcoming "Sing" videos. My Chemical Romance are set to debut their new single, "Sing" tomorrow, November 3. Several sources have mentioned that they will play the song, including Myspace Music, which will begin streaming the song at 12:35 p.m. PST. and FriendsOrEnemies Radio, between 3:30-4:30 p.m. EST. You can stream FOE right here using the player to the right. 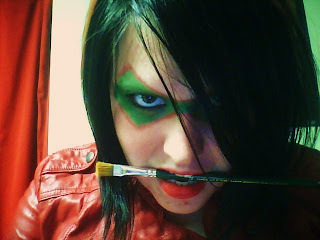 However, don't expect simply soundwaves, Killjoys! According to a press release from Reprise Records, following the "Na Na Na..." trailer-before-single pattern, a trailer video for "Sing" will also premier on the band's website tomorrow! Myspace Music describes "Sing," My Chemical Romance's second single from their upcoming album, Danger Days: The True Lives of the Fabulous Killjoys, as "an epically soaring ballad that could be considered this record’s version of 'I Don’t Love You' and/or 'Ghost of You.'" 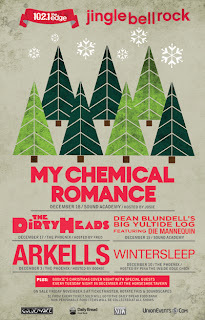 My Chemical Romance is set to play a show as a part of Toronto's 102.1 The Edge's Jingle Bell Rock concert series. The show will take place December 18 at Toronto, Ontario's Sound Academy. Tickets for the show are set to go on sale through Ticketmaster to the general public this Friday, November 5. 91X Wrex the Halls 2010 in San Diego at Viejas Arena December 12. The San Jose show will also feature The Smashing Pumpkins, Pheonix, The Black Keys and Broken Bells. The line-up for the San Diego show will also include Smashing Pumpkins, Bad Religion, Jimmy Eat World, Switchfoot, Anberlin and A Day to Remember. Tickets for the San Diego show are onsale now. You can find the code for the current pre-sale here. Tickets for the San Jose show will go onsale November 6 at 10 a.m.. I will post a link here as soon as it comes.